My name is Lisa, and I’m a longarm quilter. That seems like an introduction at a support group meeting, doesn’t it? In a way, I suppose it is. You see, my job is basically my entire life. I’m not complaining (though I sometimes do), I enjoy my work. I can’t imagine living, dreaming, breathing anything else. Two and a half years ago, I had never seen a quilting machine, and definitely didn’t know what a Gammill was. I had no idea what a fat quarter was, or how to use a rotary cutter. It’s amazing how things can change in the blink of an eye. Often, people are asked why they quilt. For me, it wasn’t so much a choice. Quilting chose me. There’s really no other way to explain it. As a longarm quilter, I meet so many wonderful people. All of the wonderful people that I meet let me be a part of their lives in one of the most intimate ways I can even imagine. When grandchildren are born and when kids graduate high school or college, they make a quilt. When people get married and 50th wedding anniversaries are celebrated, they make a quilt. 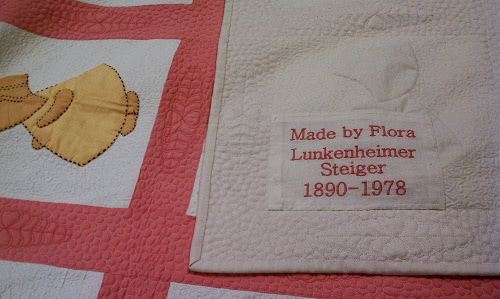 When houses are lost due to disasters, they make a quilt. 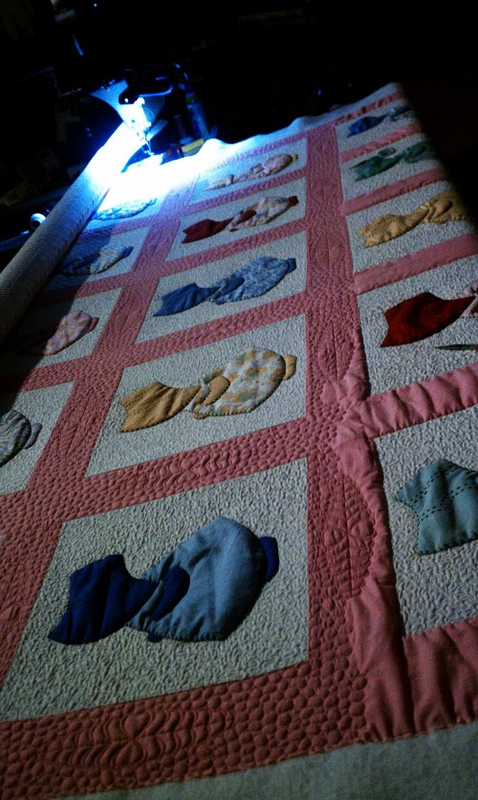 Even when loved ones have passed, they finish their quilts to carry on their memory. Who gets to quilt all of those beautiful quilts? I DO. My clients mean the world to me. They really do. The fact that they trust me with what sometimes are their most prized possessions, is the biggest compliment this girl could ever get. Sometimes, new clients are reluctant or hesitant, when they see that I have pink hair, have holes in my face and dress like a 5-year-old-on-crack. But they trust me. And I love them. To see the smiles, the shed tears, and feel the hugs of happy customers is one of the greatest feelings in the world. Now, in a perfect universe, every quilter would follow all of the rules, every quilt top would lay perfectly flat, be perfectly square, have no puckers or pleats or wavy borders. We all know this is not a perfect universe. Truth be told, the majority of quilters DON’T follow the rules. I think this is mainly because they don’t realize how important the rules are in having a great end result. I actually like the quilt tops that are wonky and wavy and 10 inches longer on one side, better than the ones that are perfectly square. Why? Most new quilters just don’t know any better. Some seasoned quilters just don’t care. It doesn’t bother me at all. If there are problems with a quilt top, I can spot them within five minutes of first looking at it, locate the origin of the problem, and then tell you what would fix it. I like to encourage my customers, not make them feel bad. They are proud of their tops when they finish them. I like to turn their ordinary into extraordinary (or even their extraordinary into super duper awesomeness). Some people want to know how they can become better quilters. Some live by the saying, “ignorance is bliss.” I’m perfectly happy to embrace both of these types of people. A happy customer with a smile on her face. These are the things I get to be a part of. I make a living by making people happy, which makes me immensely happy. I have the best job in the world!!!! 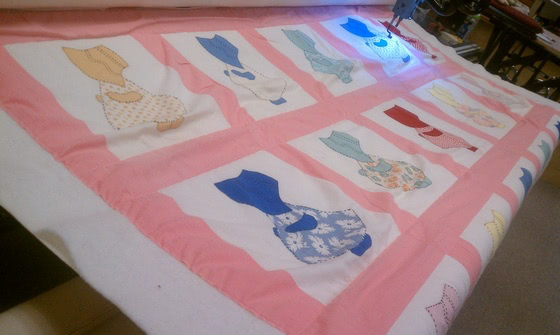 Update: See more photos of this quilt on Lisa’s blog. I first met Lisa on Facebook back in December, while following a conversation about quilt borders. I’m so glad to be following her quilting journey as she never ceases to amaze me. You can follow her here: McLisa Tangerine Starfish-Sipes or on her blog: That Crazy Quilty Girl. 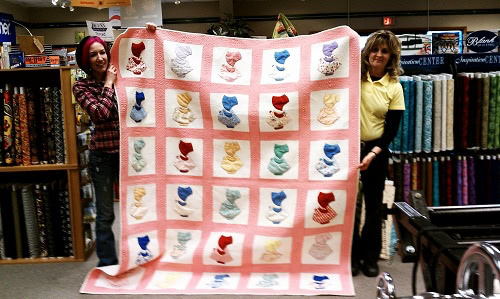 Thanks so much Lisa for being a guest and sharing this fabulous quilt with us all. I had to laugh at the idea of your clients being hestitant of you “when they see that I have pink hair, have holes in my face and dress like a 5-year-old-on-crack”. 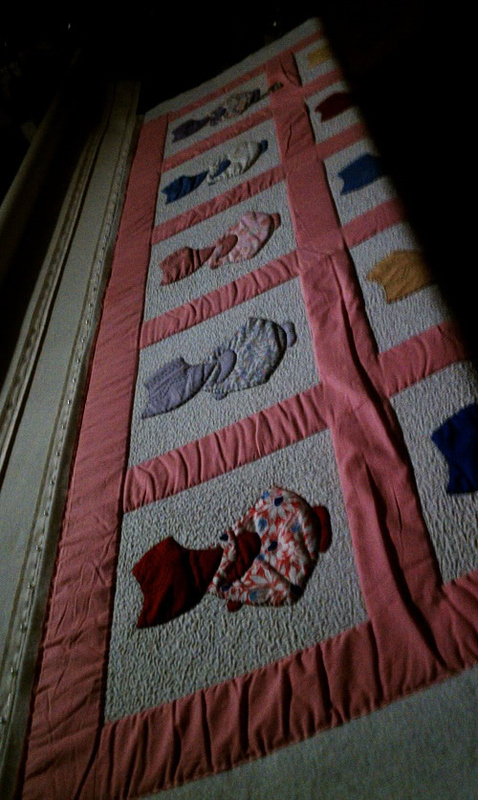 This would just make me more trusting of you if I were to come to you with my pride and joy to be quilted! Your business name should be “Mishka the Miracle Worker”. You do fabulous work! I would love to have your job! What gorgeous quilts! You have such talent! Thanks so much for sharing and inspiring!!! I can relate to so many of your statements (staring at a quilt for 2 hours, etc).